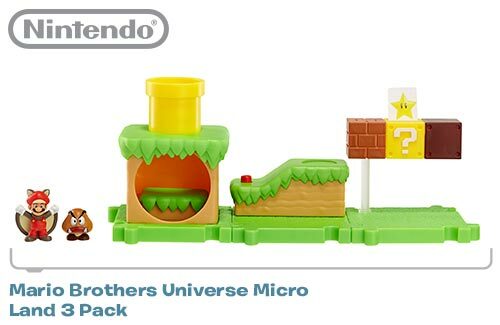 Jakks Pacific World of Nintendo Micro Land is Coming! Jakks Pacific has quietly been release miniature versions of Mario and Zelda for a few months now. While I am hard at work at some Amiibo content and will be posting it soon. I wanted to formally announce that Micro Land reviews and display ideas are coming in the near future too and will be a regular feature of this site. I just purchased my first set and figures and am looking forward to reviewing them. There is not a lot of information on these sets out there and some of them are already starting to become hard to find so I hope to help Nintendo fans and collectors. Stay tuned more information coming soon! Next What is World of Nintendo Micro Land and Why Am I Collecting It?